Heat the wok to medium-low heat. 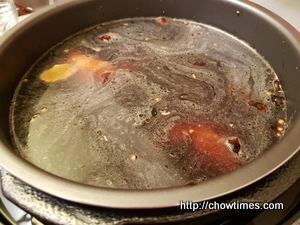 When the wok is hot add the oil and swirl around to coat the wok. 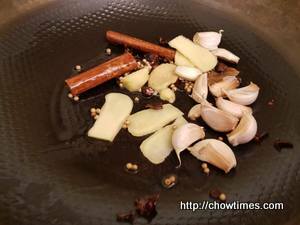 Add all the aromatics like cinnamon bark, star anise, white peppercorns, cloves, ginger and garlic. Fry until you can smell the fragrance of the aromatics. 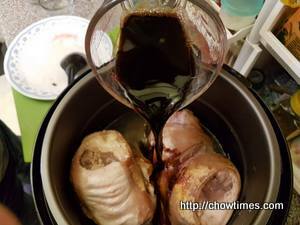 Add the pork hock, one at a time and brown on all sides. 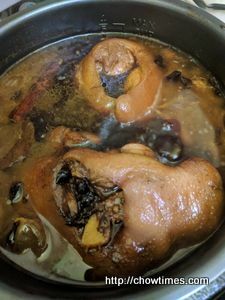 Repeat with the other pork hock. 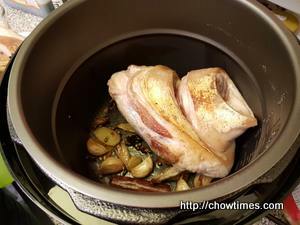 Place the aromatics and pork hocks in the pressure cooker. Add bay leaf and rock sugar. Add the white rice wine. 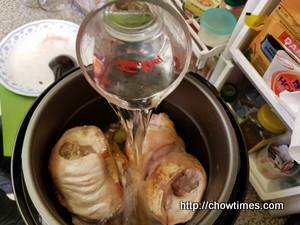 Top up with water so that the pork hocks are submersed. 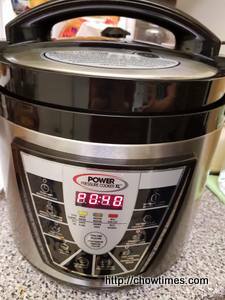 Cover and cook in the pressure cooker for 40 minutes. 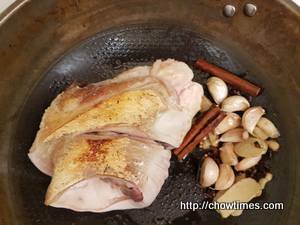 If cook on the stove, cook for at least 1 hour and 30 minutes or until the meat is tender.